Chococurb ~ New Box Alert & Giveaway! Do you love sweets? Are you a chocolate addict? Well, if you haven’t heard of Chococurb yet, you are completely missing out. This new, unique subscription box is not only a monthly snack box, but an experience for a chocolate lover, with a monthly subscription jam-packed with 5-7 chocolate bars, bites and more for $35 per month. 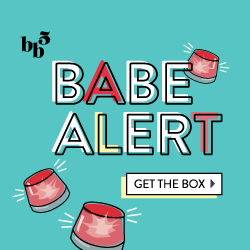 Or, if you’re a real chocoholic and sign up for multiple months at once, you can get your box discounted to $33 or $30 per month. AND, I’m offering a giveaway for 1 (month) free Chococurb subscription box (retail value $35.00). Scroll down for more information and to enter! The beautiful tiffany-blue colored box arrives at your doorstep, with another hidden white box inside. I’m a real sucker for packaging, so this won me over already. If you’re worried about chocolate melting in the mail during the warmer months, they even include an ice pack & cool temp foil bubble wrap packaging when needed (mine did not require it). Inside is more matching tissue paper and stickers, and I was eager to unwrap it and see the sweets below. Each box comes with a welcome card too, introducing you to the company and their theory. Fran’s Smoked Salt Caramels in Milk Chocolate (mini .9 oz) is a set of slow-cooked caramels, coated in luscious milk chocolate with a sprinkle of smoked sea salt on top. The soft butter caramels are made with non-gmo, organic and gluten-free ingredients, dipped in 38% milk chocolate and finished with smoked salt for the ultimate mix of sweet, chocolatey and salty. PACARI Lemongrass Dark Chocolate Bar (mini .35 oz) is definitely a unique product. This fair trade citrus-lemongrass infused dark chocolate is the first single origin organic chocolate made in Ecuador. They produce in small batches and carefully select the best ingredients to bring out the highest quality chocolate possible. Here we have Menakao Dark Chocolate 70% – Sesame Seed and Crispy Coconut (full size bar 2.64 oz). It’s referred to as “Bright & Crispy” for the toasty notes provided by the sesame work well with the crispiness of the coconut. The image on the bar depicts an Antemoro man, whose name means “the people of the shores”. A cultured people, the Antemoro have long been experts in Arabic writing, divination and astrology. MAROU Faiseurs de Chocolat BEN TRE 78% is a skinny full-sized bar (.85) of intense yet perfectly balanced chocolate from the Ben Tre province in the Mekong Delta, where cacao trees are planted among the coconut groves. It has a simple yet divine flavor, and great packaging. I love the fun, bright-colored wrapper on this Seattle Chocolates Coconut Macaroon Truffle Bar (full size 2.5oz). A delectable blend of island flavors like toasted coconut, sea salt and rich dark chocolate, this new truffle bar boasts all-natural ingredients, a smooth meltaway center and Rainforest Alliance Certified cocoa. If you like sweet, nutty flavors like hazelnut and toffee, you’ll love this Hot Chocolat Artisan Firehouse Chocolate Bar in Toffee Crunch. (full size- oz not listed). It’s like sugary sweet toffee candy and milk chocolate melted together to create a delicious chocolate bar. Here’s the entire set of chocolate bars and candies from my first Chococurb subscription box! I love that they stayed true to their word of sending 5-7 chocolate products, and that they sent a variety of brands and flavors. While the dark chocolate bars are simple and classic, the coconut macaroon and lemongrass pack a flavor kick. My favorite aspect is that many of these are fair trade and made with natural and organic ingredients. While it’s hard to figure out some of the pricing, I think for the variety and uniqueness of the different bars (brands, ingredients, origin, etc), it’s definitely worth the money. What do you think of Chococurb? Sign up here for your own subscription, or CLICK HERE to enter my GIVEAWAY for 1 free Chococurb box ($35 value)! It doesn’t matter what color of chocolate, we eat a lot of it here. I should grow a chocolate bean tree.